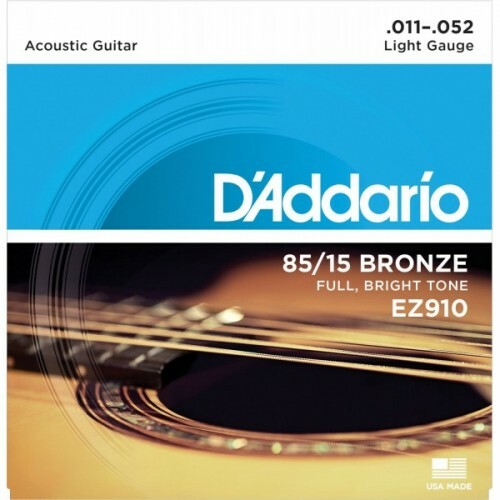 D'Addario EZ910 85/15 Acoustic Guitar Strings. which offer bright tone with great sustain. the tonal characteristics of Phosphor Bronze. of strings for musical instruments. Many top guitarists won't play any other brand. 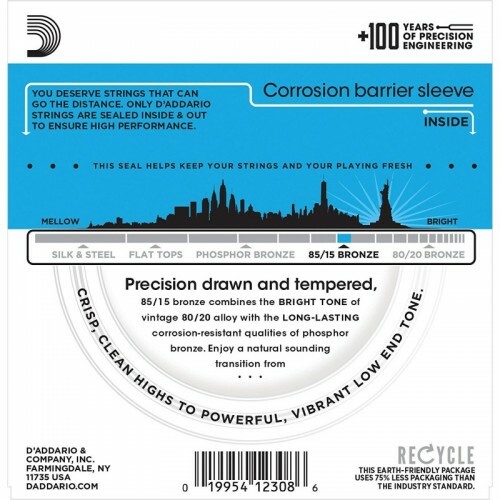 D'Addario has a set of strings that's right for your acoustic guitar. Guitar Belt with Free Picks. 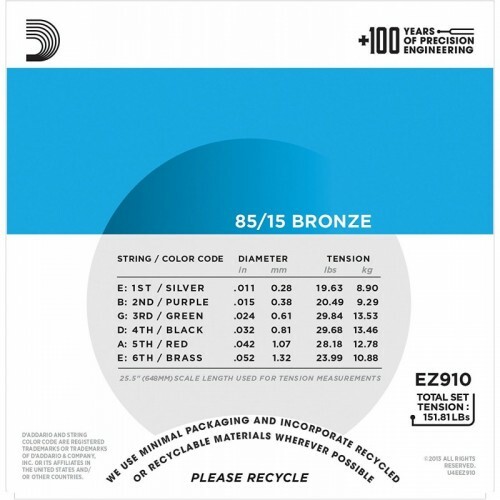 Guitar Belt Colour; BlackFree ; Guitar Picks - 5 pcs..
85/15 Bronze combines the brilliance of 80/20 bronze with the longer life characteristics of Phospho..
TAAL Series Strings Are made Exclusively Out of High Quality Germany Technologyfor Better Pronu..